Swift hatchback from Maruti Suzuki is one of the successful cars in India. Maruti Swift is seen in Indian automobile market since a decade. 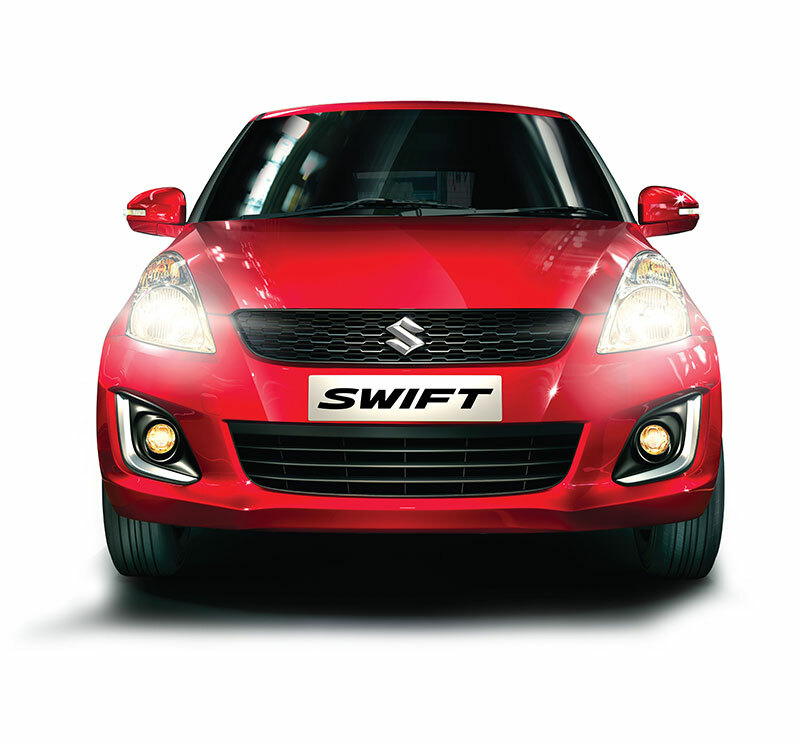 Maruti Suzuki has always kept the Swift model updated continuously. Swift model has seen lots of facelifts and iterations over the time to meet the current-day expectation of a car buyer. The recent February 2017 sales report reveal that close to 13,000 units of Swift were sold in single month in India. The 2017 Maruti Swift facelift is also expected this year. Do you want to maintain that status quo by choosing the white color? Maruti Swift is offered in White color variant – below is the photo of Maruti Swift in Pearl Arctic White color variant. The Maruti Swift White color is the most popular color. Planning to select more bright colors? – You can choose the exclusive Mysterious Violet color. Following is the photo of Maruti Swift in mysterios violet color. The all new Maruti Swift is offered in both petrol and diesel variants. Maruti Swift Petrol is powered by 1.2 litre petrol engine that churns out maximum power of 85.8 bhp and peak torque of 114 Nm. Swift is also available in diesel variant with 1.3 litre diesel engine that deliver much better power figures – 74bhp power and 190Nm peak torque. Maruti Swift is offered in multiple trims LXi, LXi(O), VXi, VXi(O), ZXi for petrol version and LDi, LDi(O), VDi, VDi(O), ZDi for the diesel version. Both Manual as well as Automatic transmission gearbox options are available in Swift. Maruti Suzuki claims a mileage of 20.4 Kmpl for petrol version and 25.2 Kmpl for the diesel version. When it comes to dimensions, the boot space of Swift measures 204 litres. The length of Maruti Swift is 3850 mm, width is 1695mm, height is 1530mm and ground clearance in 170mm. The Fuel tank capacity of Maruti Swift is 42 litres. Swift can accommodate upto 5 adults easily. The price of Maruti Swift starts from 4.72 lakhs ( Ex-showroom Delhi). Which Maruti Swift color variant did you like?